Please contact us directly to receive information on our rates. You may use our contact page to send us a direct message. 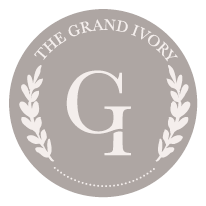 We look forward to making your wedding dreams come true at The Grand Ivory! We offer peak and non-peak rates for the 2018-2019 wedding seasons. Your event includes exclusive 12 hours use of all the Grand Ivory amenities. PHOTOSHOOTS: The Grand Ivory is unavailable for photoshoots (maternity, engagement, family portraits, etc), except for bridal portraits of booked Grand Ivory brides. We do accept a very select amount of styled shoots/editorials by wedding professionals per year. Inquire on our contact page if you are an industry professional interested in booking a styled shoot/editorial with us! Now booking the 2018 & 2019 wedding seasons!